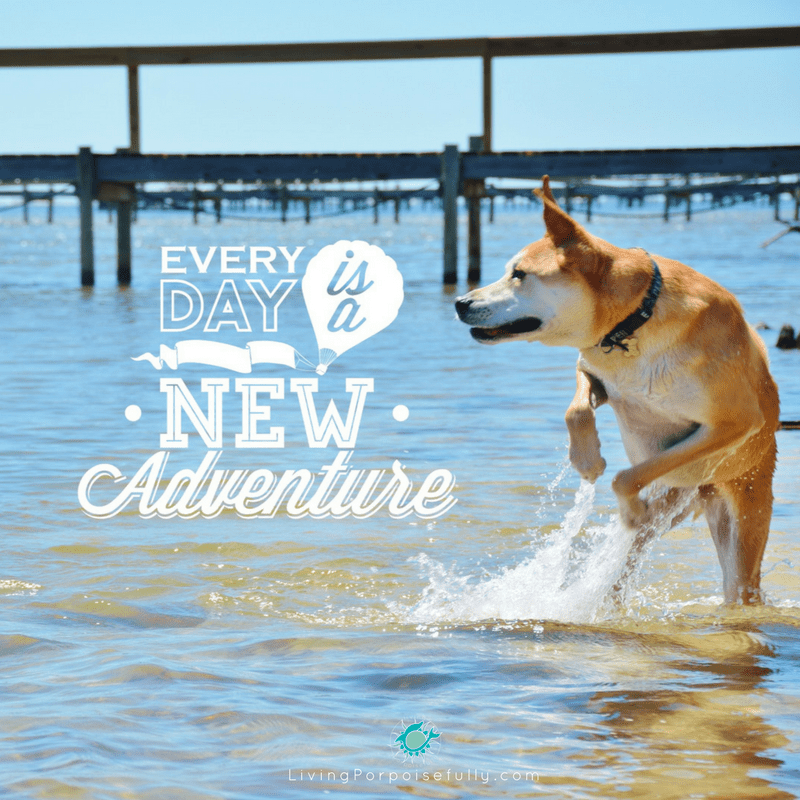 Our sweet pup is the star of our inspiration photo today! How is it that dogs have a natural adventurous spirit, waking up each day with a wagging tail as if it’s a whole new experience!? And how can we get some of that! Our pup has an adorable way of expressing his inner jubilation: whenever he’s really excited about something, he bounds up and down in the same spot a few times in a row. It’s super-contagious too — it just makes you laugh! What’s even more, his excitement often is over something he’s done before (i.e. walks and frisbee chases), but his excitement never diminishes. So, we’re taking a lesson from our pup today and we hope it inspires you too! Big things, like trips, creative endeavors, and passion projects, as well as daily habits can all use a dose of that boundless adventure. What is it about each day that’s your adventure? Waking up to loved ones? The hot cup of deliciousness in the morning? Your new shoes? The book that you can’t wait to dive into? Whatever it is for you, play it up like the dogs do. Your energy will be contagious to others and will only magnify your own adventurous spirit!